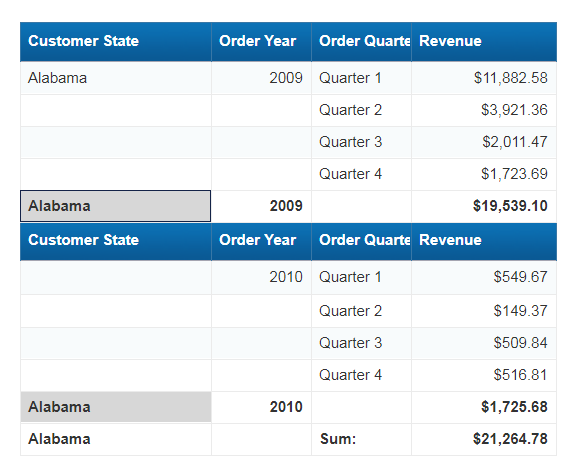 Same Level Break is a new feature added in the Web Intelligence 4.2 service pack – SP05. With this type of break, the aggregate is displayed at the same level whenever multiple objects are selected for a break. The breaks depend on the layout of the table, meaning that the first break happens whenever a value of the first object in the table layout changes. 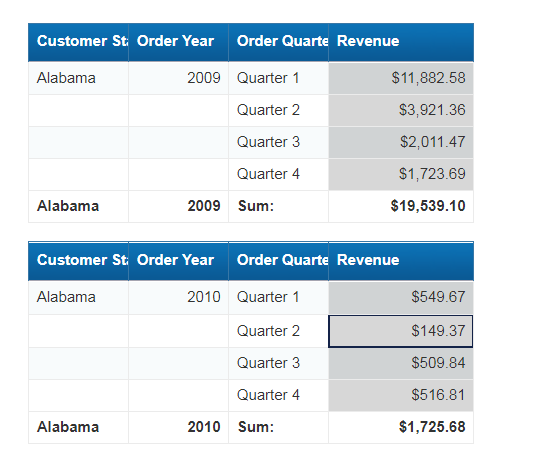 The result is that the objects in the break share the same footer and the totals/aggregates are displayed on the same row in the table, as opposed to one for each object’s total and sub-total. 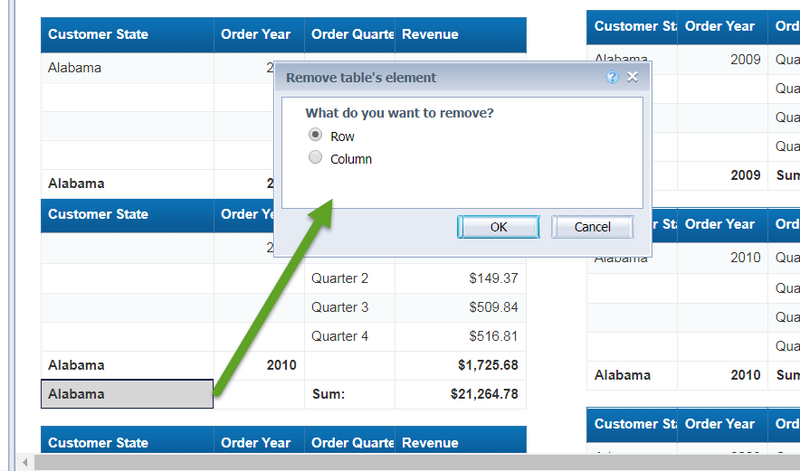 Right-click one of the column to which you want to apply a break. In the Manage Breaks dialog box, click Add. 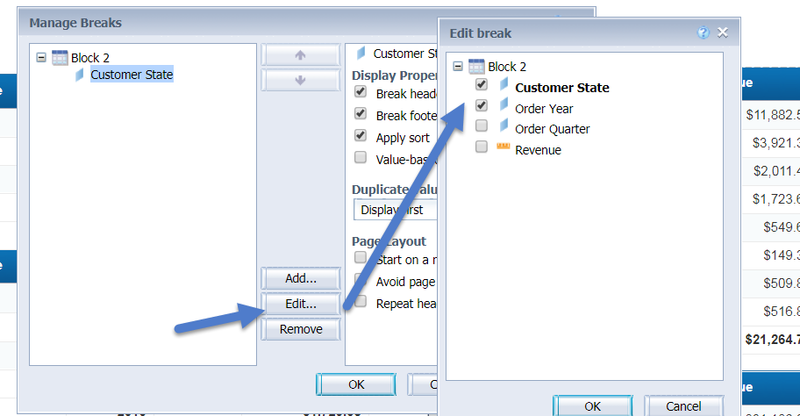 Back in the Manage Breaks dialog box, click OK.
With our regular break properties, we would get one footer row with the aggregate per break on each object. The break priority will determine the hierarchy. 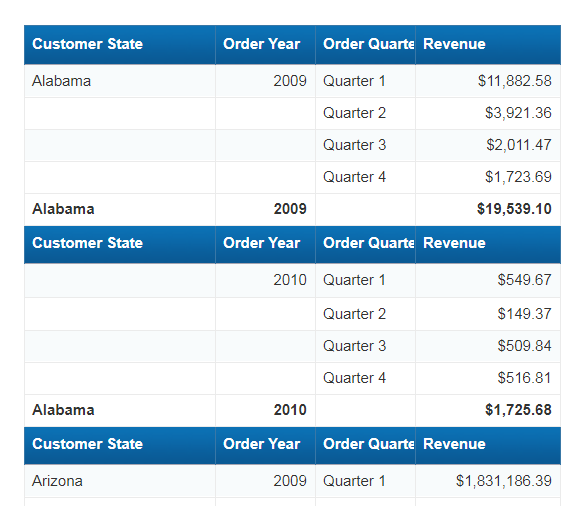 Create a querry with Customer State, Order Year, Order Quarter and Revenue. Project the object in a vertical table. You may have to re-apply the sum if you add one more object to the group. The same level break is definitely a useful property to get the aggregate at the same level for more than one object. Especially, if you are planning to use 3-4 objects, setting it up with Same Level Break will be faster. I have encountered multiple business cases where this feature could be used right away. This is often required when creating WebI blocks that will serve as data source tables for another application. 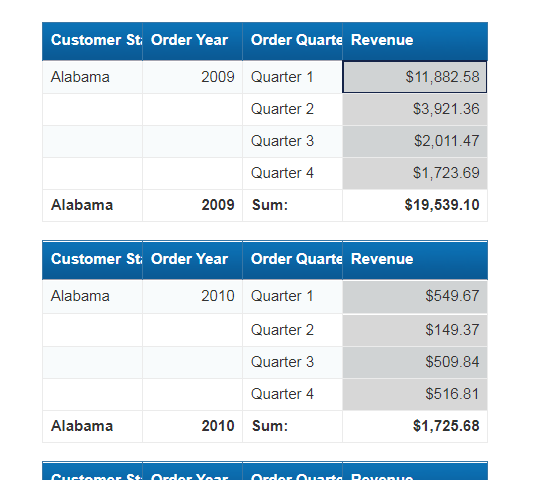 Custom aggregation at a few selected levels is a requirement for many businesses, as opposed to sub-totals and totals at each combination of dimensions. What if the break objects aren’t sorted? 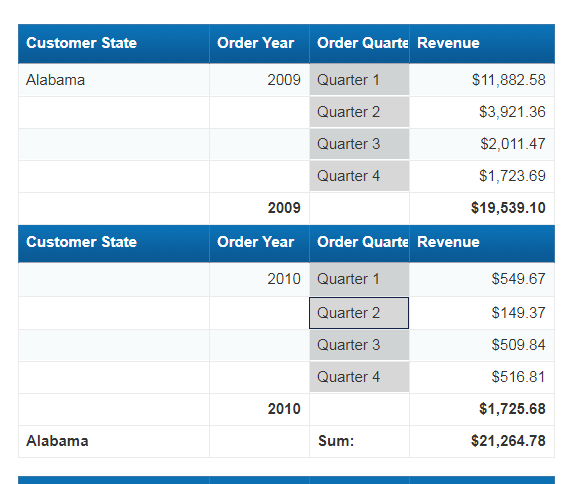 The footer is displayed for each deepest object value. What if the order of objects changes? The break happens at the new deepest object level. What if an object is added or removed? Hopefully you found this tech tip useful! 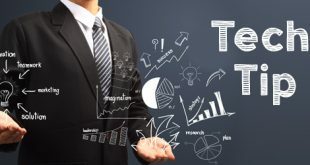 Runali provides consulting and training for SAP BusinessObjects (Dashboard 4.x, Xcelsius, Web Intelligence, Universe, IDT, Explorer, BI Mobile, Data Services) and InfoBurst Enterprise at InfoSol. She has over 10 years of experience with programming, development and analysis with Business Intelligence, Database and ERP Suits (Oracle and SAP - order management, inventory, distribution and payables). Runali successfully led and managed several business-critical projects to develop custom interfaces, dashboards, universes, and reports. Her passion for data and data visualization has enabled her to be a key performer in the area of business intelligence deployment.